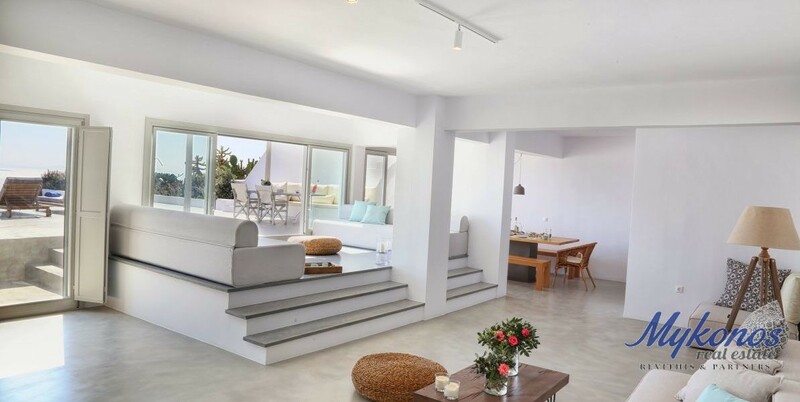 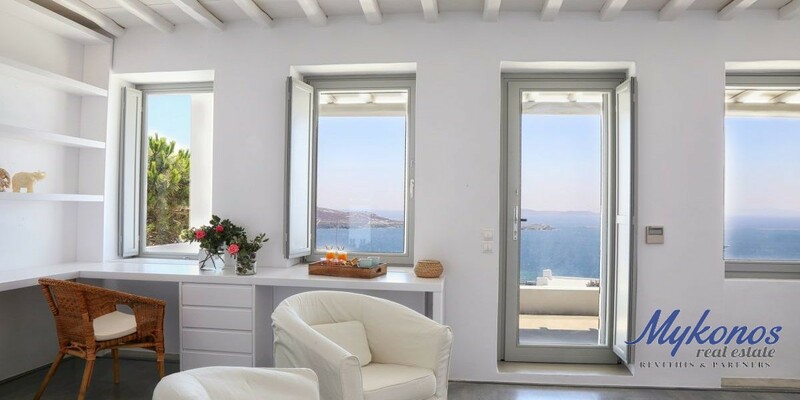 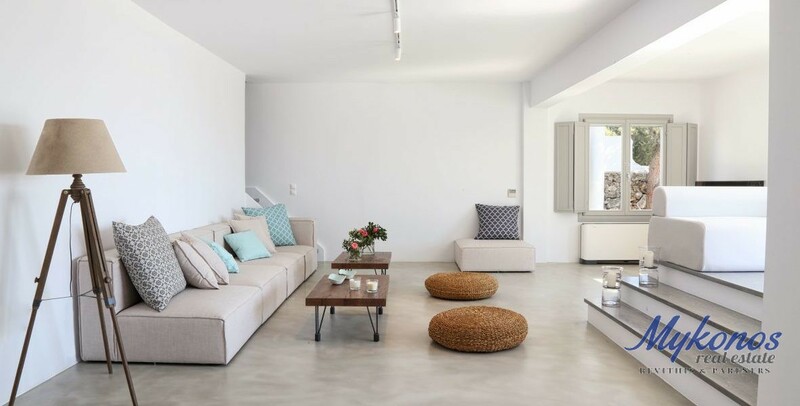 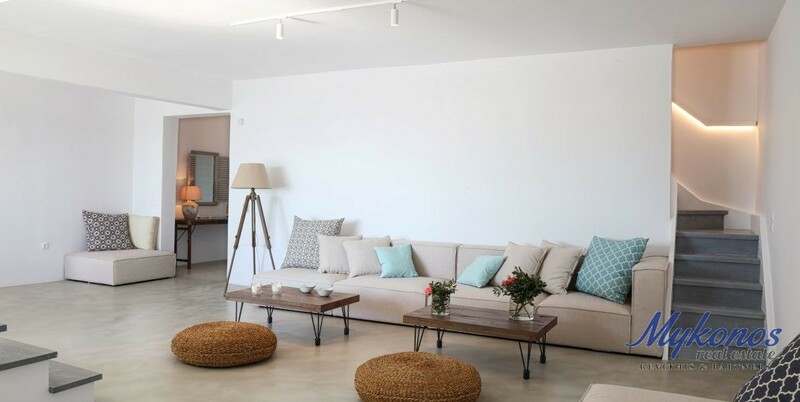 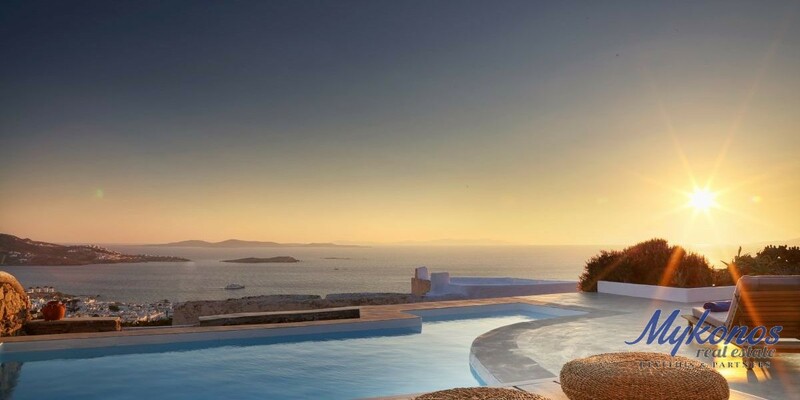 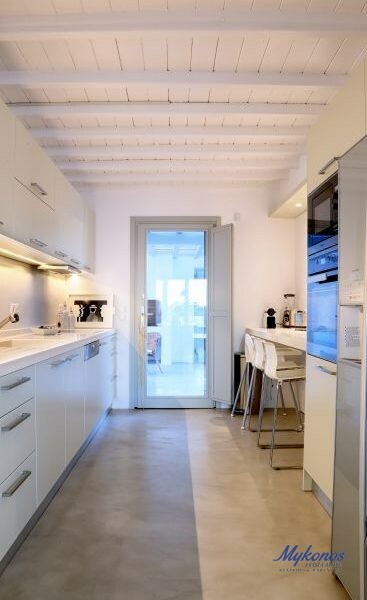 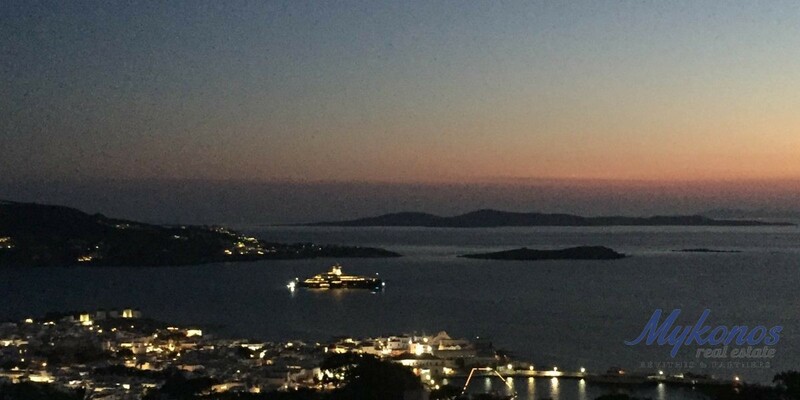 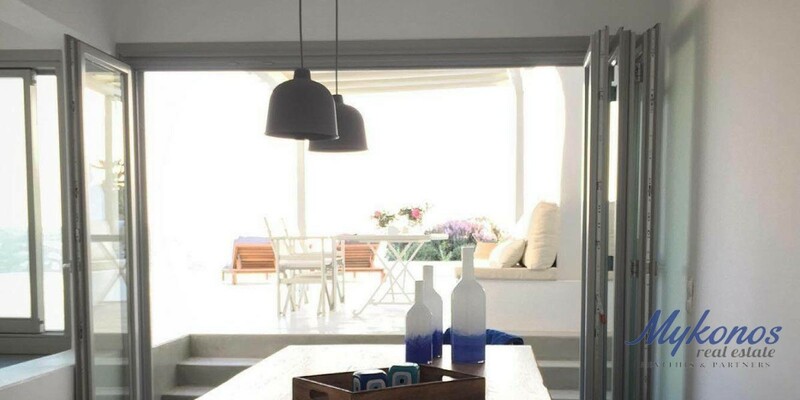 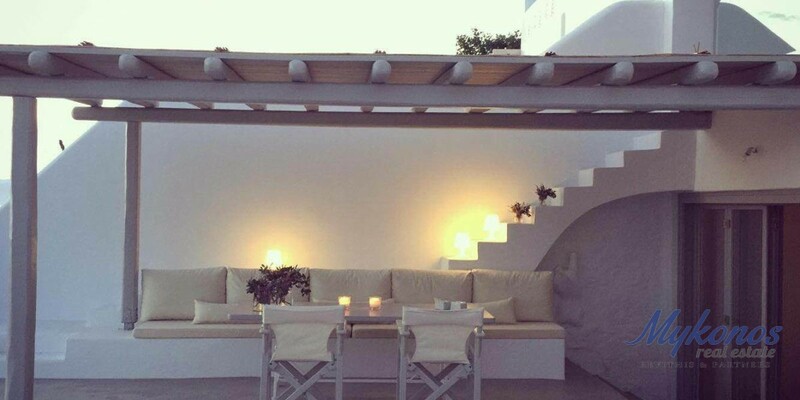 This beautiful villa can be found in one of the most desirable and unique locations of Mykonos, namely in Evaggelistraki. 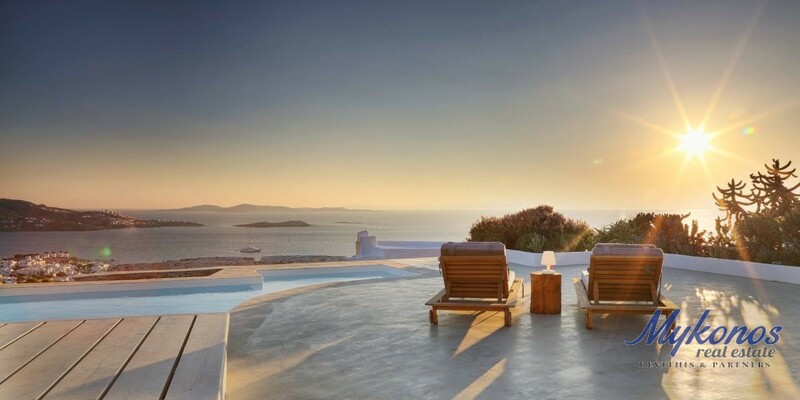 The villa overlooks the main Mykonian town – Chora, and has an incredible view of the infinite Aegean horizon and breathtaking Mykonian sunsets. 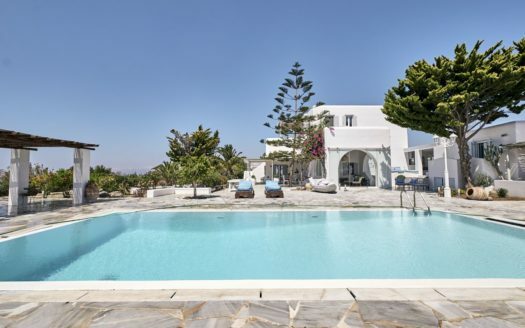 The location of the villa makes it easily accessible from Chora, and also from all the beaches – thus, it situates at the heart of the Mykonian lifestyle, on the one hand, but on the other – it also offers its privacy and exclusivity to its guests. 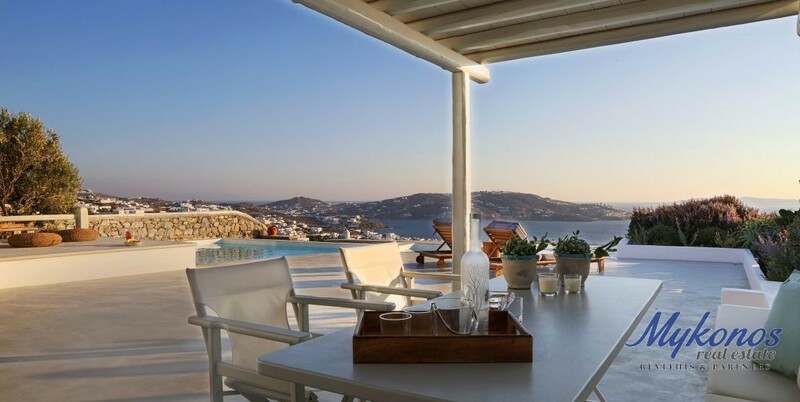 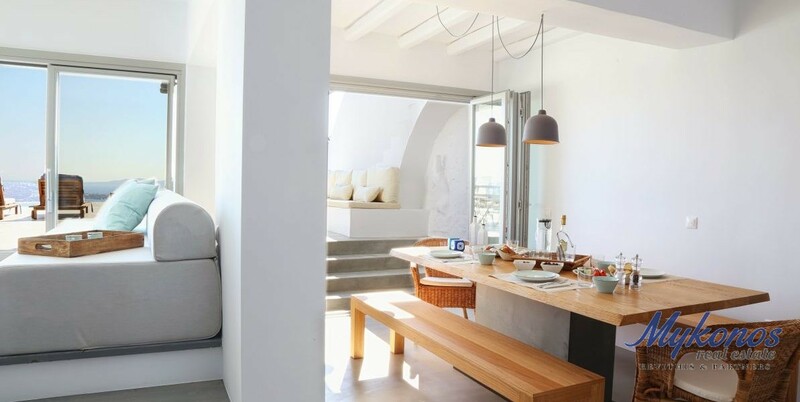 Moreover, the villa is unique also because acclaimed architect Dimitris Rizos has refurbished it, so that it would feature thoughtful layouts and design, custom furniture and millwork. 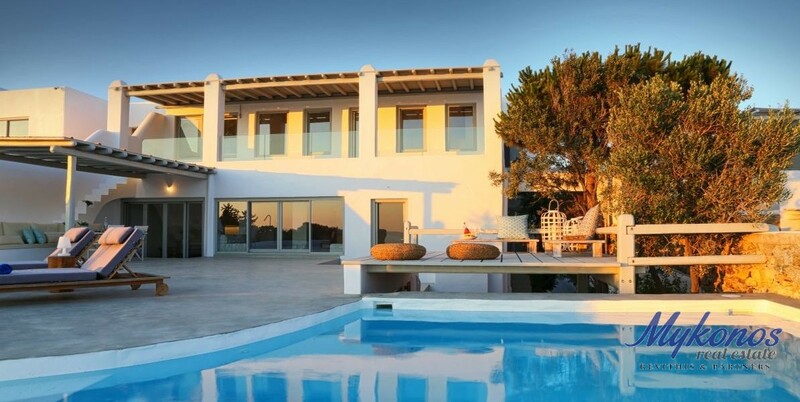 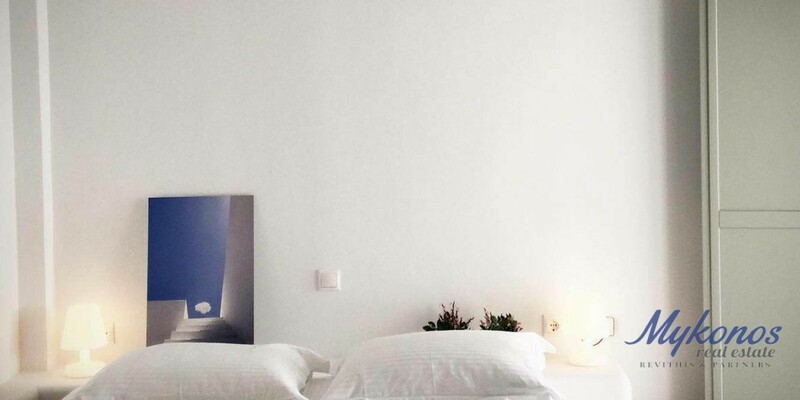 The villa has organic COCO-MAT beds, modern Miele appliances, en-suite bathrooms and built-in storage. 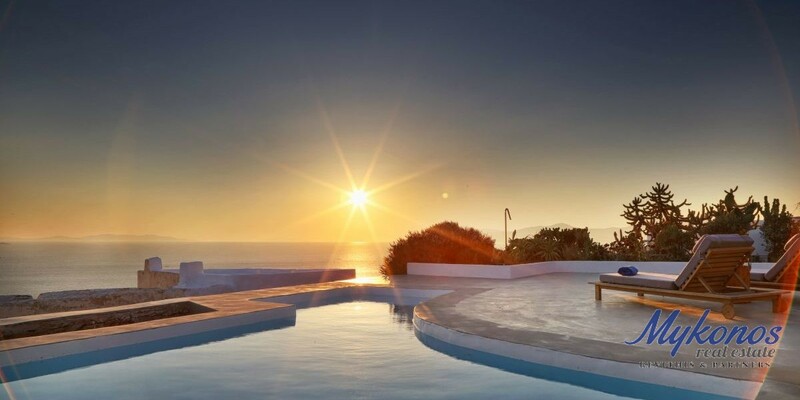 This villa with its stunning location, beautiful panoramic views with incredible sunsets and its amenities is a great choice for those who value luxury lifestyle. 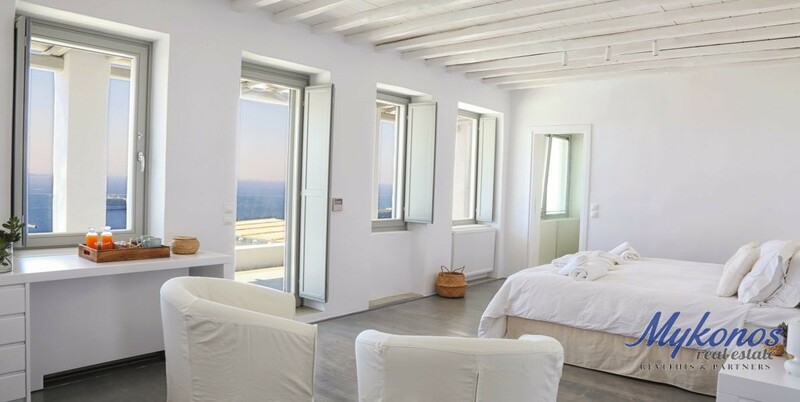 The upper level has one master bedroom with 1 king size bed, en-suite bathroom, full-length mirror, sea view. 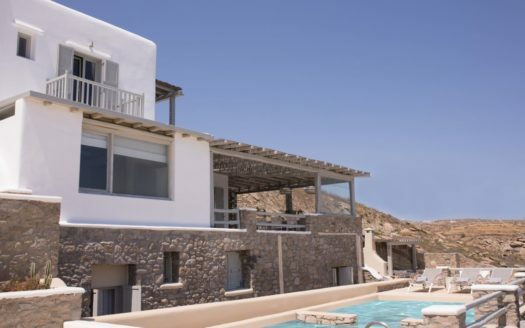 There is also one bedroom with 1 queen size bed (can be split into 2 single beds), en-suite bathroom and sea view. 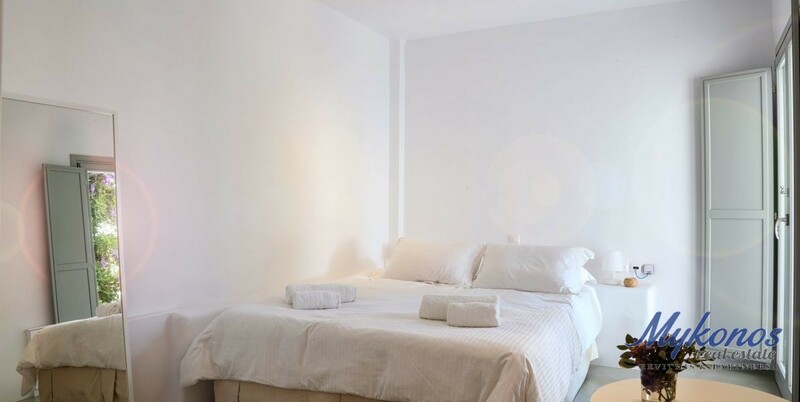 One children bedroom with one single bed and separate bathroom. 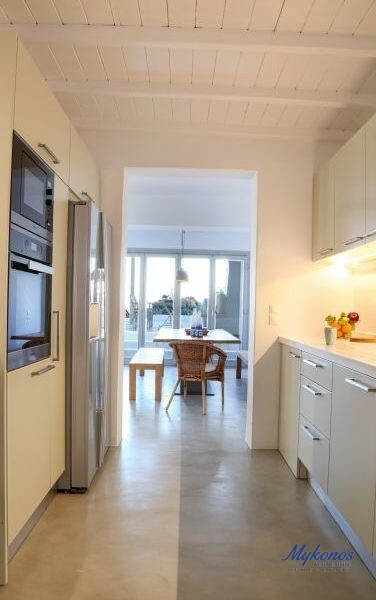 The ground level has double bedroom with queen size bed (can be split into 2 single beds), en-suite bathroom, garden view; an open plan living and dining area with TV and a fully equipped kitchen with Miele appliances. 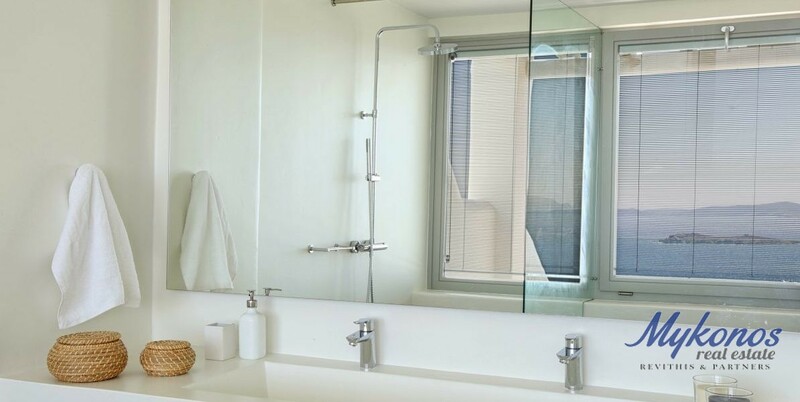 The lower level offers two guest houses with en-suite bathrooms and queen size beds (no view). 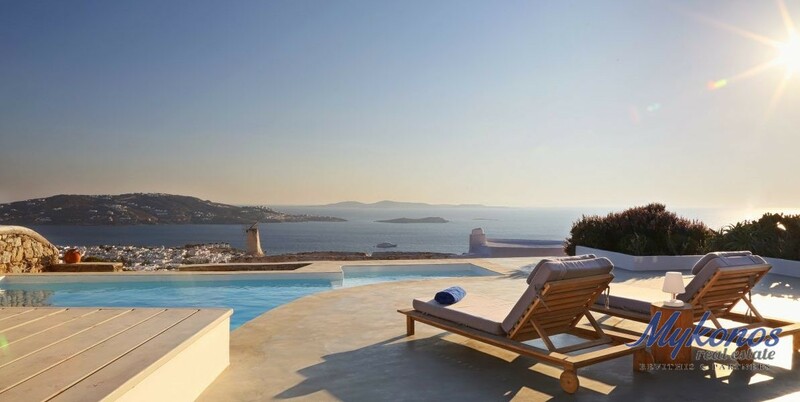 The outdoors has a private pool with the panoramic view, sun beds and loungers. 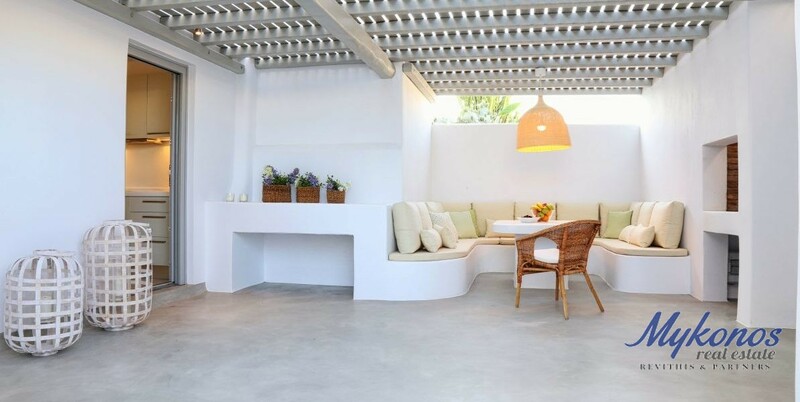 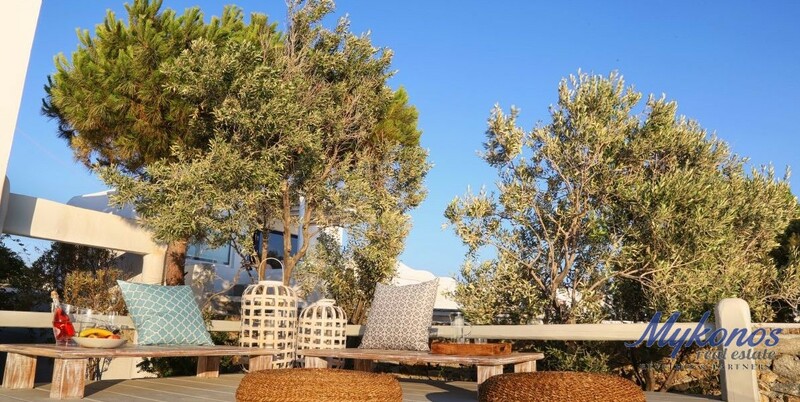 There are also lounge pergolas which offer shade during the hot sunny days with built-in bench; BBQ and alfresco dining area; spacious pool terrace; sun bathing deck; electric gate; private parking; garden.